President Obama, angered over the Democratic Senate’s inability to pass basic legislation, says he will become a Republican. President Obama is heading into his re-election campaign with plans to step up his offensive against an unpopular Congress, concluding that he cannot pass any major legislation in 2012 because of Democratic inability to pass basic legislation. Mr. Obama’s election-year strategy is an attempt to capitalize on his recent defeat on a long-term extension of the payroll tax cut. The President wanted a one-year extension of the tax cut, as did House Republicans. But the Democrats in the Senate chose instead to pass a two-month extension and refused to discuss the President’s ideas for a one-year extension. The Republican House, on the other hand, passed a one-year extension of the tax relief program. “I’m through seeking compromises with the Democrats in the Senate,” said the President. Washington pollsters are unsure how the President’s announcement will affect the already contentious Republican primaries, but expect the President to draw support from frontrunner Mitt Romney, as they share several policy positions. 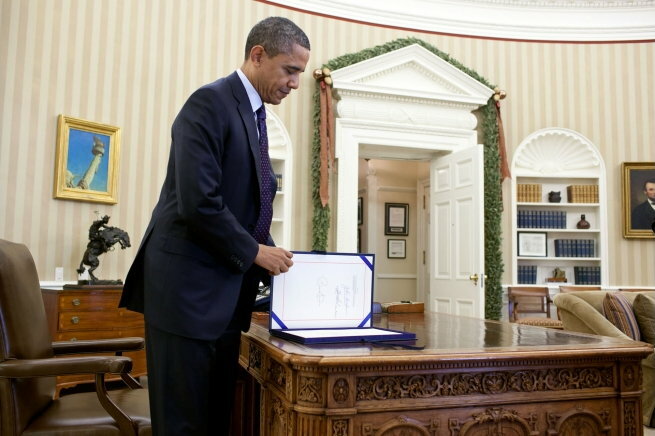 President Obama switches parties last modified December 31st, 2011. Copyright © 2019 Leni Films.